Zimbabwean President Robert Mugabe has agreed to step down and prepare a letter of resignation, CNN reported on Monday. Under the resignation agreement, Mugabe and his wife Grace will receive full immunity. “Mugabe has agreed to resign but there are currently no details of his departure”, two senior government sources told Reuters on Sunday. The Zimbabwean President is to step down due Monday, otherwise the African Union (AU) might interfere in his removal process. 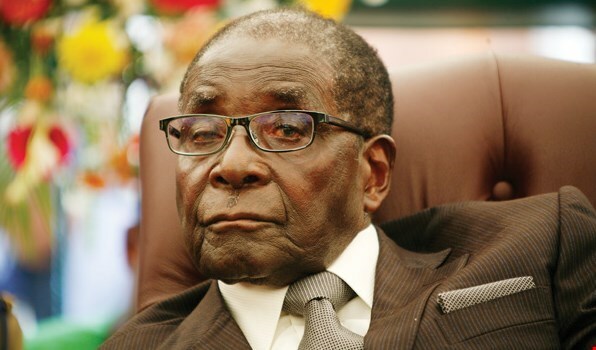 The 93-year-old Mugabe surprised Zimbabweans by refusing to mention his resignation in a televised speech last night, instead claiming to chair the ZANU PF ruling party’s congress next month, although the party itself dismissed him from his presidency earlier. Zimbabwe’s parliament will not meet on Monday, so no measures will be taken to isolate Mugabe before Tuesday. Minutes after Mugabe’s speech, veteran leader Chris Mutsvangwa told Reuters he would lead protests in the streets of Harare, stepping up pressure on Mugabe who ruled the country for 37 years. There is speculation that Mugabe may have read the wrong speech or ignored paragraphs that spoke of his resignation. Citizens are trying to explain what Mugabe said in a barely audible voice at the end of his speech to the army commander Constantine Chiwenga. Earlier on Saturday, the ruling party’s central committee named Emmerson Mnangagwa as the party’s new chairman. The turmoil began after Mugabe dismissed his long-term ally, the Zimbabwean Vice President Emmerson Mnangagwa, from his position. On Wednesday, Constantine Chiwenga, head of Zimbabwean Army warned Mugabe to stop the purges inside the ruling party. Mugabe later agreed to resign but did not disclose it to the army leadership. Two senior political sources in Zimbabwe said on Monday that President Mugabe agreed on Sunday to resign, but his ruling party nevertheless did not want him to hand over the authority to the military leadership as that could lead to a coup. “It would not have been the best idea to hand over the authority to the army as that would certainly create a great deal of confusion, said a source from the ruling party.